"SOUTH FLORIDA'S PREMIER COMMERCIAL PRESSURE WASHING VENDOR CONTACT US TODAY"
"RESIDENTIAL ROOF PACKAGES STARTING AT $ 125.00 CALL TODAY TO SAVE"
"NO JOB TO BIG OR SMALL, BEST PRICES IN TOWN CONTACT US FOR YOUR FREE ESTIMATE"
We give FREE estimates and we are always ready to answer any questions. 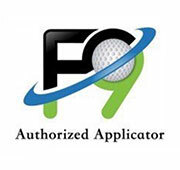 We are conveniently located in Palm Beach County and service the South Florida region. 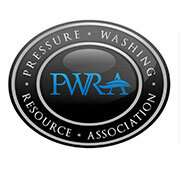 We are the best in West Palm Beach Pressure Washing. Why Choose Sunshine Pressure Washing? 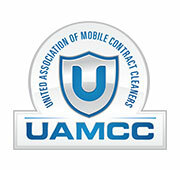 We are fully insured and licensed pressure washing service company, holding a $2 Million dollar general liability insurance policy and are active members of UAMCC (United Association of Mobile Contract Cleaners). We are South Florida’s first choice for commercial pressure washing, and residential exterior cleaning services, including No Pressure Roof Washing Boynton Beach. Our Residential and Commercial Services also include Patios, Enclosures, Fence Restoration, Paver Sealing, Rust Removal, Gutter Cleaning, Driveway Cleaning, HOA Communities, Restaurant Cleaning, Investment Properties, Storefront Cleaning, Parking Lot/Garages and Drive Thrus. We are committed to doing a thorough job; this means paying attention even to the details. We don’t just want your business once. We want it year after year! We pride ourselves in upholding a standard of integrity bound by fairness, honesty, and personal responsibility. Our distinction is the quality of service we bring to our customers. Accurate knowledge of our trade combined with ability is what makes us true professionals. Above all, we are watchful of our customers’ interests and make their concerns the basis of our business. In the past I have used companies that have destroyed my plants and grass , I loved the fact that they took preventative measures to protect my vegetation.